The purpose of the position of Head Teacher is to educate students in a sound environment, based on Christian Science, which maintains high moral and academic standards. It is the responsibility of the Head Teacher to oversee all matters related to the students’ and teachers’ experiences at the School. These include curriculum, teaching and learning materials, organization of dormitory life, meals and co-curricular activities (e.g., music, sports, etc. ), and professional development of teachers. The Head Teacher is responsible for maintaining records showing the School’s defined, recognized curriculum that is in line with local/national curriculum, including character education, and the related pedagogy. In addition, teacher-training must be provided including on-going professional development and guidance in how to inculcate Christian character. The Head Teacher works cooperatively with the Bursar to make decisions which support the fiscal status and are feasible within the physical structure of the School. The Head Teacher is also responsible for making clear to the teachers, students and parents the Christian Science basis of school. This can be done through meetings with incoming families to explain Christian Science and how that is the basis of the School; assemblies and meetings for the students and teachers with readings from the Bible and Science and Health with Key to the Scriptures; talks and discussions when appropriate; hymns from Christian Science Hymnal; sharing Christian Science periodicals; and, inviting students to attend Sunday School. The Head Teacher works at the School each day and has a centrally-located office. Occasional local and national travel may be required. The Head Teacher usually works each day when School is in session, and usually for at least part of each school holiday period. The Head Teacher must hold at least a baccalaureate degree and must maintain an active schedule of professional development for her/himself. Good analytical skills is an asset for this position since the head teacher will be required to analyze situations, scenarios and data to make appropriate decisions in consultation with the Board of Directors. Head Teacher must be a Christian Scientist, and must have been actively studying and practicing Christian Science for at least 5 years, and be a member of the Mother Church. It is preferred that the Head Teacher also have had class instruction in Christian Science. The Head Teacher must be a good steward of property and facilities, including both technological and non-technological assets. The Head Teacher should have had a minimum of 10 years classroom/teaching experience five of which should be as a head teacher in primary or secondary grades. Additional experience as a school administrator is preferred. The Head Teacher should be knowledgeable about the uses of instructional technology and the uses of technology for administrative purposes. Proficiency in MS office suite is mandatory. The Head Teacher must be skilled in the use of written and spoken English and Swahili. Proficiency in the use of local languages is an asset. The candidate must a Kenyan national or if not, possess a valid working permit. *The Petals students achieved +10.33 mean over previous year. 25 of the 59 schools produced a +plus mean. 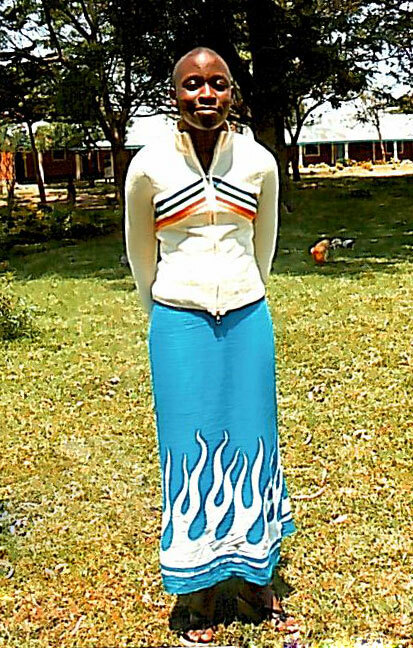 *The all-time top student scored 380 (out of 500) on KCPE. Have you ever had a pen pal? Can you say you’ve talked to someone in a different continent? Do you have a best friend who you haven’t even met? I am so fortunate to be able to answer yes to all three of those questions. On a cold day in December, my fifth grade teacher told our class that we were going to have a special assignment after winter break. Most people, including me, thought it was a writing essay or math packet. Boy, were we wrong. She explained that her friend had moved to Africa many years ago to explore the heritage of a beautiful country called Kenya. She learned the language and became the head mistress of a school called Petals of Africa School. Mrs. Morgan, my teacher, informed us that the students at the school were starting to learn English. Her friend asked Mrs. Morgan if we would like to write letters to her class so the students could practice reading and writing English. Our assignment after winter break was to write a letter to a student in Kenya! I was thrilled about writing to a new friend! When we got back from winter break, the first thing I asked my teacher was, “When do we get to write to our pen pals?” She told me that today we were going to begin the letters. I grew impatient that morning, but it was finally time to talk about writing our letters. “Remember they are still learning English, so write in complete sentences and use correct spelling and punctuation,” Mrs. Morgan told us. As quickly as I could, I started writing my note. Careful about my spelling and grammar, I used every last ounce of knowledge I had to make the sentences top-notch. Mrs. Morgan finally asked us to turn in our work. I passed mine in, confident that whoever received it would immediately understand how hard I tried to make every word legible and neat. One of the points I focused on was including some main facts about me. 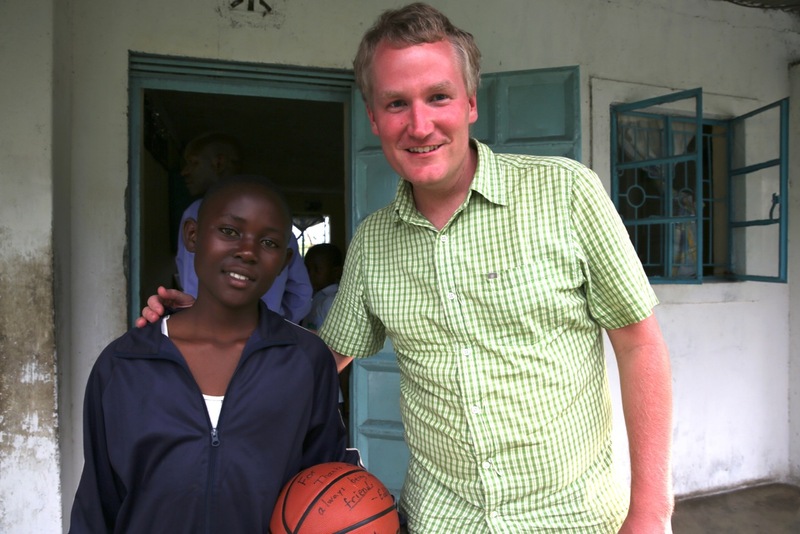 I also asked many questions so I could learn more about my new pen pal in Kenya. Mrs. Morgan attached a picture of each student to send to the school. I was feeling over the moon when my teacher told my class that she had sent the notes to Kenya. She also mentioned it might be weeks, maybe even months before we heard from our pen friends. I was okay with waiting, where as some of my friends decided that waiting for months was too long. It was mid-March when Mrs. Morgan gave us the replies. Most kids in my class had completely forgotten that we had even sent letters in the first place. However, I had not. I counted up the days until I would be able to read what someone had written to me. I found it so amazing that I had the ability now to talk to someone who lived on a different continent, and who barely knew English! Fidgeting all day long, I waited for when I could find out who my new pen friend was, and read my note. As my teacher passed out the notes, I saw people staring at their letters in awe. Finally, it was my turn to receive a letter. Full of happiness, I opened it up. I was simply amazed. Sitting in front of me laid a beautifully written letter with stunning pictures. Reading the letter, I began to show an enormous smile. Eunice Adisa, my new pen pal, had written me back and answered every one of my questions. She told me all about her life. I learned about her family, what her interests were, and how excited she was to do this assignment. Not only did I have a new friend, I also had a friend who had something in common with me! When I arrived home later that day, I told my mom all about my pen pal. She had two sisters and one brother. Eunice also included that her favorite subject in school was science and she wanted to become a nurse when she was older. I thought she was the nicest person a girl could know. I was very excited to write back. I started working as soon as possible. I decided to tell her about myself since she had told me about herself. I shared who I was and my personality. I explained to her my likes and dislikes, some of the things I enjoy doing, and how amazing I thought she was. I discovered writing a letter isn’t just writing sentences and sending them. I realized you need to think about what you’re writing and try your hardest. Once I finished my letter, I gave it to Mrs. Morgan to send to Kenya. Since it was the middle of March, Mrs. Morgan told us we would not get the letters from our pen pals back until after the school year was over. I was a bit disappointed, but at least I would hear back from Eunice at some point. I hoped she enjoyed my letter. First days, then weeks, then months went by until one day in August, 2013, we finally received an email from Mrs. Morgan stating that some of the new letters had just arrived from Kenya. I was delighted to know that my pen pal had written back to me. Not wasting any time, I read the note. Eunice had written beautifully once again and drew me two more pictures, one of a rose, and one of a dog. I loved the way she signed off the letter, “Your best friend, EuniceAdisa.” The sentence that touched me the most though, was, “I would love to meet you if God was able to guide us up to now.” Tears began to form in my eyes. Eunice was the sweetest person alive. She wanted to meet me and feels lucky to have me as a pen pal. At that moment, I knew that I had gained a best friend. So what if we’ve never met? Who cares if we live on two different continents more than 9,000 miles away?Eunice and I don’t. We look past all of that and can see that we hold a true friendship. The way we met started off as an assignment, but now it is a lifelong treasure. We continue to write to one another, sharing our lives and our special secrets. Words can’t describe how wonderful I think Eunice is. Living in two diverse continents, our lives are very different. I can travel wherever I want at such a young age. Eunice, along with most of her friends, never leave within two miles of their homes for their entire lives. I try to tell her about all the places I go and all of the activities I partake in. I hope to help her learn as much as she can about the beautiful world we live in, even though she may not see it. I desire to inspire her to never stop believing in herself so she can become the bright, loving nurse she wants to be when she’s older and follow her dreams. She inspires me to embrace the world and love my life. She enjoys her life, even without the privileges I have. Though almost a year has passed since we started writing, one thing is for certain: we have an unbreakable friendship that will last forever. Another youth for youth fundraiser is a success! 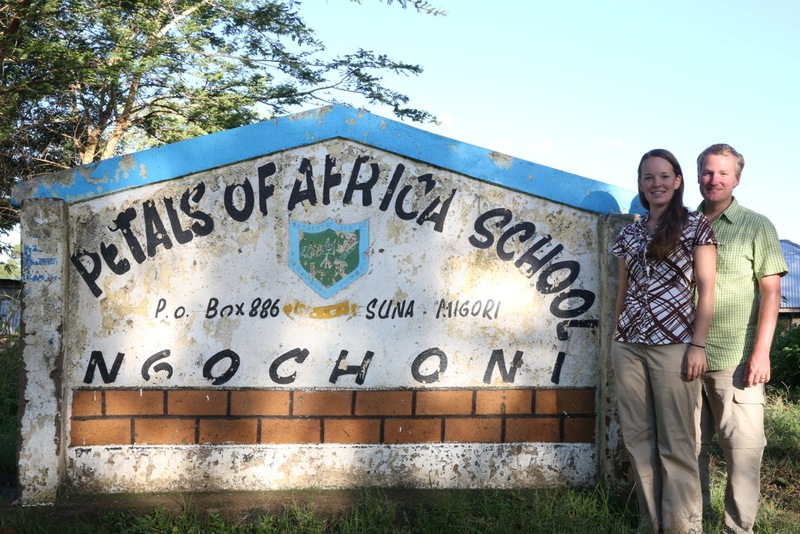 Emelie Fredrikson and Ellie Towle, senior and junior, Principians, created a fundraiser to bless the boarding students of Ngochoni Petals School in Kenya while also blessing the boarding students of The Principia Upper School. 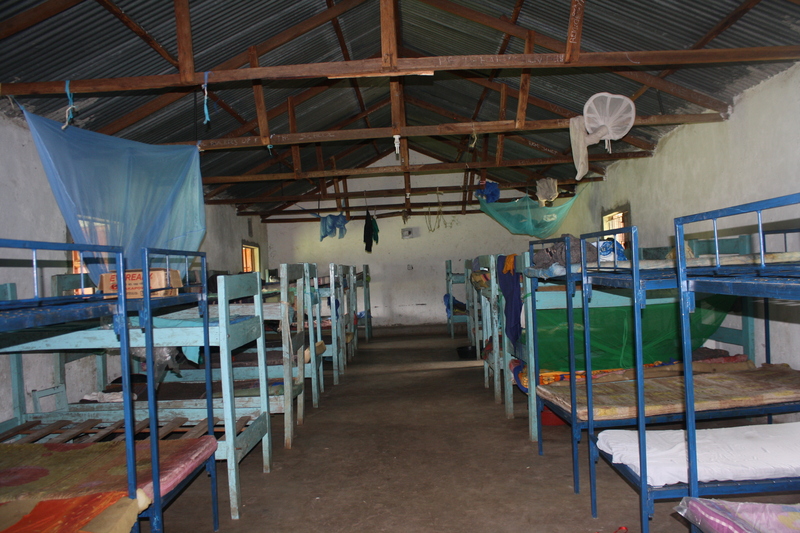 Parents were invited to make a donation towards the goal of 37 new metal bunk beds greatly needed at the Petals School where there are currently 102 boarding students. In return for each family’s generosity, their Principia boarding student will receive a special cookie/brownie package on upcoming holidays from the kitchens of Emelie and Ellie. Many day student parents contributed as well, responding to this heartfelt idea. USA volunteer to help make boarding students near and far feel comforted and loved. 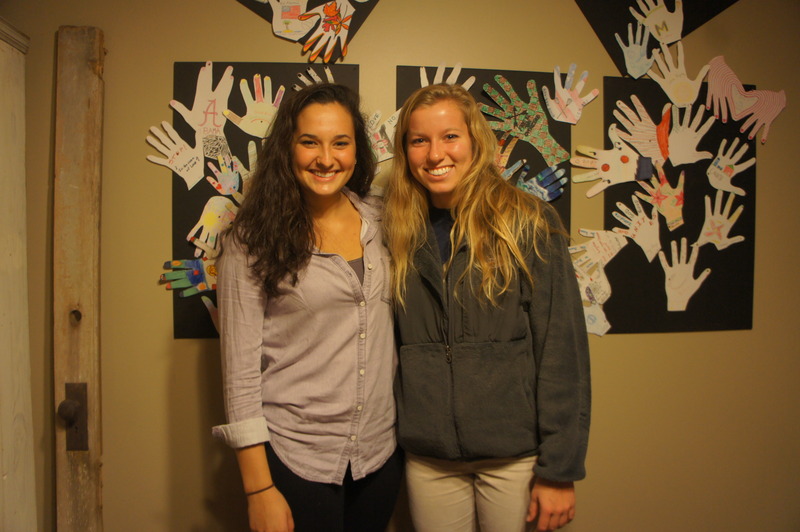 These two young women were inspired by two graduates of Petals School that are now attending Principia Upper School. 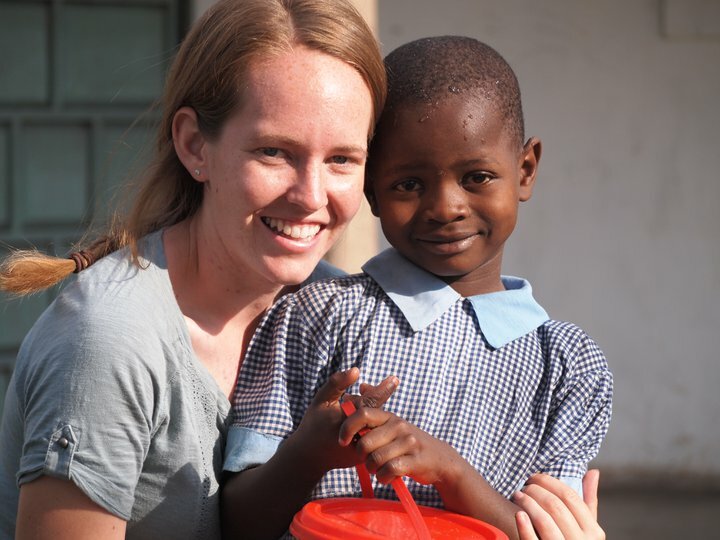 Ellie has also served in Rwanda helping disabled children and recognizes how Christian Science can reveal and bring goodness to the continent of Africa. Emelie cares deeply that this school has a Christian Science basis and sees this as palpable in the loving nature of the two students who are now fellow classmates. On October 21 during the Petals Consortium monthly teleconference, the Head of School of Petals shared that the #1 need at the school is additional bunk beds. Thanks to Ellie and Emelie, active hearts and willing hands, there will be 20 new metal bunk beds for the students of this rural school where former warring tribes are uniting through education. Mary Beth and Eddie Cox at the entrance to Petals School. The planning for our journey to Petals lasted almost two years, the physical trip there took 47 hours, and we spent six weeks at Petals making a lifetime of memories. We are both travelers and share a love of education, children, and Christian Science. So when we heard of Petals through our friend Kenny D’Evelyn, we knew we had to go – (read about Kenny’s adventures at Petals). After joining the Petals Consortium, dipping into the world of fundraising so we could help on projects at Petals, and dreaming of safari excursions, we packed our bags and headed to the airport. We spent time with friends in Nairobi and took a safari so we could realize our National Geographic-like dreams, before heading into the lush green of southwestern Kenya. Petals is our first excursion into rural life. Our travels through Europe, Peru, India, the Caribbean, and Australia – were nothing like this. Mary Beth learned to carry water on her head, wash laundry (cleaner than with a machine!) using well water, a scrap of soap, and pure muscle-power. Eddie yearned to bring home a view of Kenyan culture, people, context, and life through his camera lens, mainly because he knew there was no hope of explaining this beautiful life with words. We loved the purity of Petals: we felt a deeply permanent peace and understood why the community calls it “The Healing School.” We saw older kids taking care of younger kids, older siblings sending younger siblings to school when the parents can’t pay – even when they don’t have enough money to support themselves, and they all have the hope someday of earning a little more to take care of their parents when they are older, all the while living in the same compound for their whole lives. We spent countless hours laughing and sharing stories with our host family, the Barazas, and became especially comfortable around Lilian. In addition, we got to know four specific students: Elvince, Shem, Betty, and Vivian. Their lives are very different from each other, and a world apart from ours in the United States. We visited Elvince’s home and met his grandmother, we learned about Shem’s family and his life as a boarder, we walked rain-soaked trails with Betty back and forth from her home to school, as she juggled studying in school for ten hours a day and doing chores at home multiple times throughout the day, and we understood a little bit more about life as a Kenyan seventh-grade female from talking to Vivian. The stories are endless, and we have spent many hours passing them on to family or gathered friends, and we hope our blog, and our videos & photos on Petals’ website can show you a little more. Please go to the media tab above, and feel free to visit our blog and view our videos on the Petals YouTube channel. 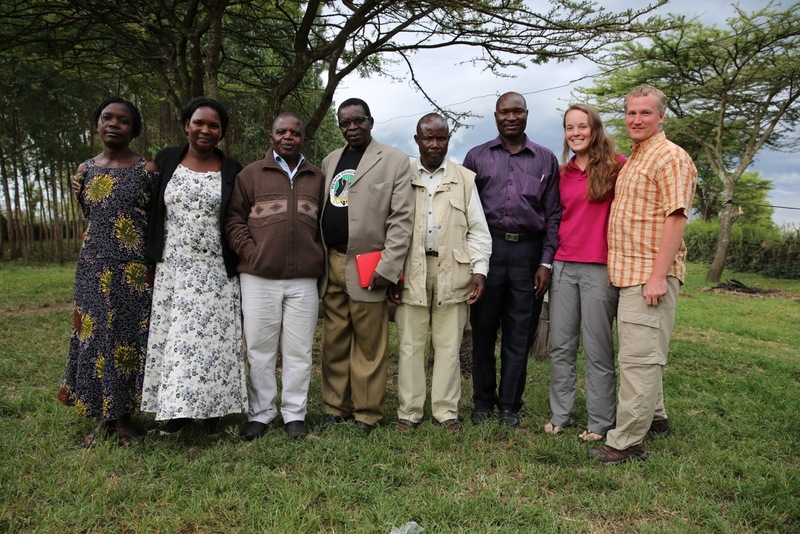 Petals governing board: (from left) Lilian Baraza (Head of School, not a board member), Helen Ambugo, Evans Maiga (Board Chairman), Michael Okumu (Board Secretary), Jared Ambugo (Board Treasurer & Land Donor), Fred Baraza (School Administrator) with Volunteer Mary Beth Cox and Volunteer Eddie Cox. Receive our greetings from us and family members hoping that you are doing well. We are very greatful to take this chance to write to you and to say thank you for the good you are doing to us, and not only us but to our families as well. May I take this opportunity to thank you dearly for your help towards our education. May God bless you so much. Please may you continue helping in our future education so that our dreams may come true. May God be with you in all things that you do. Thank you. Yours faithfully, Elvince Okoth Nyapara, Class of 2009, Petals of Africa School, Continuing Student Representative. 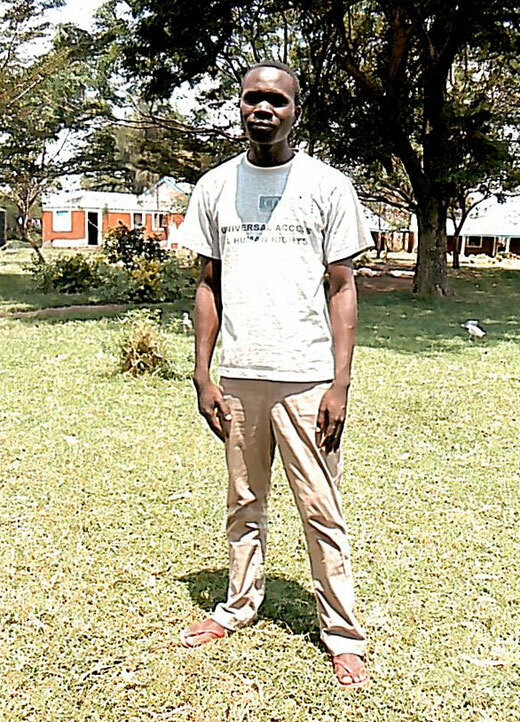 Elvince is currently attending Kanga High School in Kenya. He is ranked 68 out of 309 at this provincial Secondary School and will be attending his senior year. All of the 26 students sponsored are doing very well in Secondary School and are grateful for furthering their education. From the Petals graduating class of 2011, Roseterah Adhiambo Wema is ranked 17 out of 298 students at St. Albert’s Girls High School-Ulanda. Ongoing Advancing Students donations are accepted throughout the year to help those orphaned or disadvantaged students to continue to blossom for all mankind. 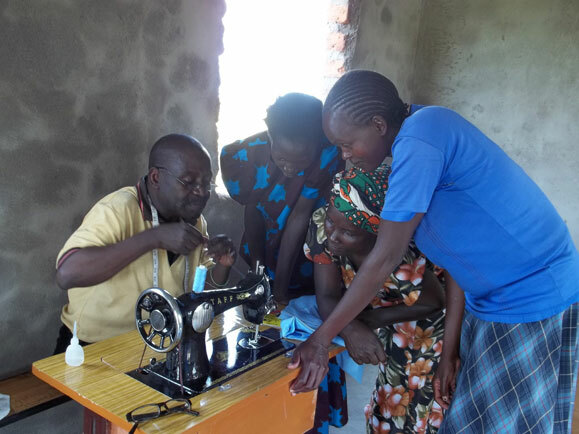 The strategic/work plans for the Petals Sewing Academy is to finish one room for training and keeping of the equipment. The foundation and bricks are available. The Phase II funding needs are $1000 which would purchase timber and roof supplies to finish the room. 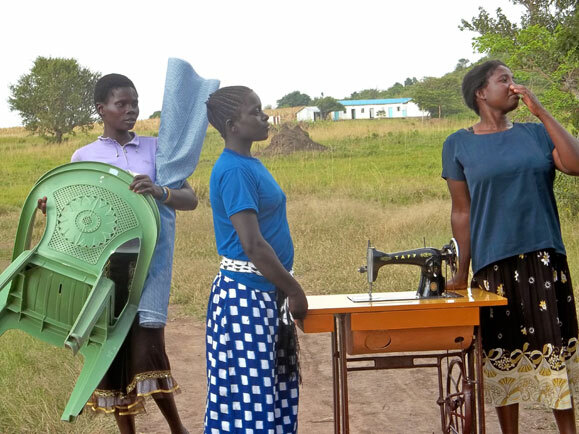 After one year, the students continue to hand-carry the sewing machines with supplies back and forth each day to use the local church for training. Thomas the tutor trains students for 2 hours, 5 days a week. Students first learned how to sew their names on paper for practice. Their first completed project was an apron. The goals are to empower the graduates and community economically; create a revenue centre for the school; create employment opportuniy; attract individuals worldwide to participate in training; and to enhance cohesion in the region and internationally. The objectives are to train students in garment making, i.e. school uniforms to suiting; to impact entrepreneurial skills to students; and to be a certified tailoring and dressmaking centre. After many years of having my fifth grade students correspond with Petals students as pen pals, we came up with a great way to celebrate and experience a little bit of the Petals culture. In our new organic garden, we planted corn and kale. We harvested the kale in June, but the corn wasn’t ready yet. 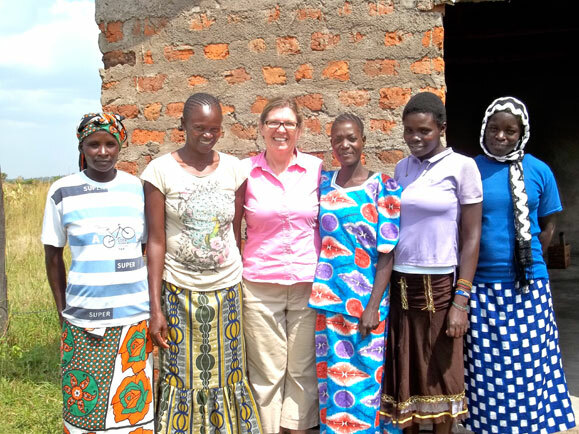 Mrs. Morgan made two kale recipes, one from Lilian and another found online, and Mrs. Hickey, a parent of one of the students who lived in Tanzania, made ugali. We ate with our hands. 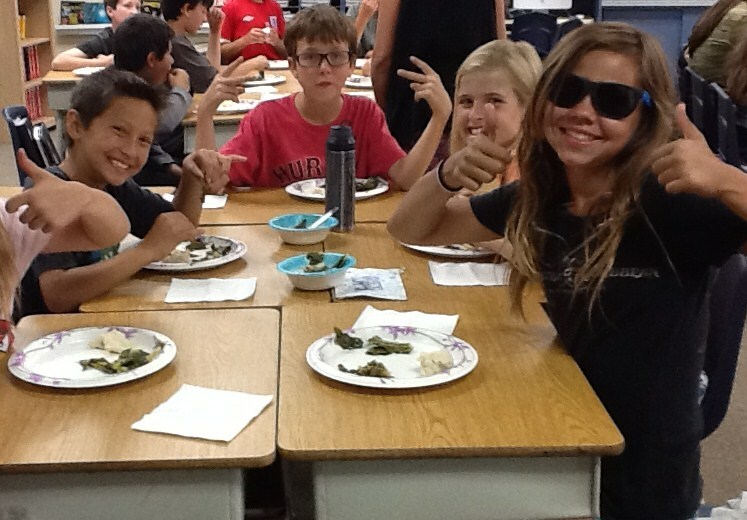 All but one of the students tried the food, and most really enjoyed it! 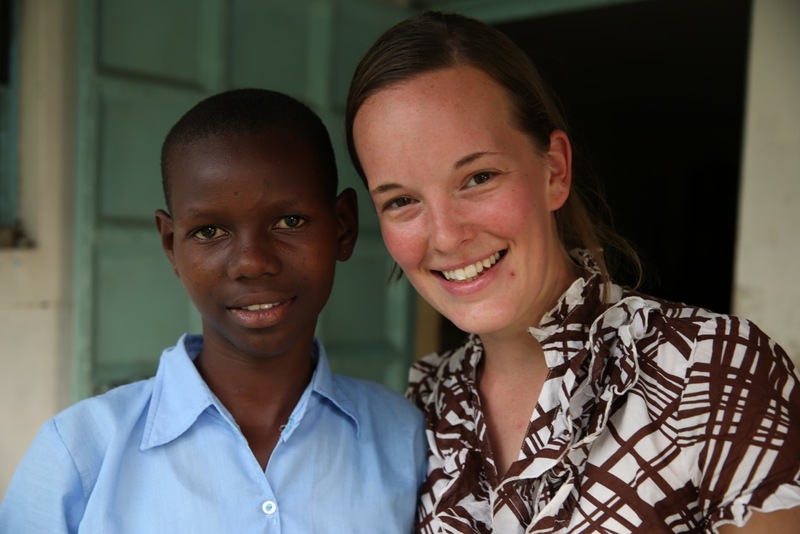 I had wanted to go to Africa since I was in High School and when I was told I needed to do an internship for my Sociology Major at Principia College, I jumped at the opportunity of working at Petals. I’m still in awe how it all worked out so harmoniously. As Petals first Intern, I came in and was excited to teach. I taught English, math, science, creative arts, and P.E. to first through third graders every day for four weeks. I couldn’t have asked for a sweeter group of students. These children express so much energy and love it is contagious. It’s difficult to put into words how much this experience changed my life. I know that I learned much more from my students than they learned from me. I was reminded how important it is to be grateful for the littlest things. They all treasure Christian Science so much and their sense of faith is truly remarkable. I will never forget my times spent on the soccer fields with the girls, laughing with my home stay family, tickling the little ones, and connecting on a deep level with the older students. I miss all of the wonderful people I met during my time at Petals. My Kenyan family and students will always be in my heart. 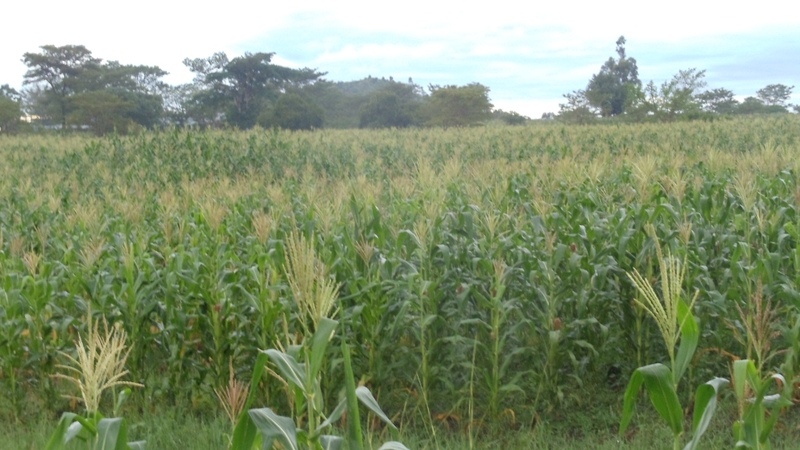 Jared Ambugo reports that a good crop of corn will harvest in July 2012. This is the Petals Crop rented land project started two years ago to supply ongoing food resources for the students at the school.